I moved about 2 years ago, and for many reasons have not yet unpacked my many books. Of course it has been a good excuse to buy some sewing books that I didn’t already have ! I’ve also felt the need to have access to several sewing books that I already owned. I prefer print versions of reference books, but for a second copy have been getting Kindle versions where available. I’ve found it interesting to pull together a list of what I already have, hidden in a pile of boxes, and felt a need to look at so got another copy. They turn out to be mostly simple books with a generous spirit. And I’ve mentioned a few videos which supplement the books. Basic but not usually for complete beginners – I’m relieved to find I haven’t felt a need to refer to books that tell me how to use my machine, tools, and patterns 😀 And, although I do a lot of work on muslins, I haven’t bought any repeat copies of (or new) books on fit – these days I know enough to do-it-myself by ‘reading the wrinkles’. Though no doubt I will be continuing my fitting ‘rescue fantasy’ by trying yet more video classes on pant fit. . .
My choices make it obvious my main focus is not couture technique but simple techniques for sewing and pattern altering – though they do need to give quality results. 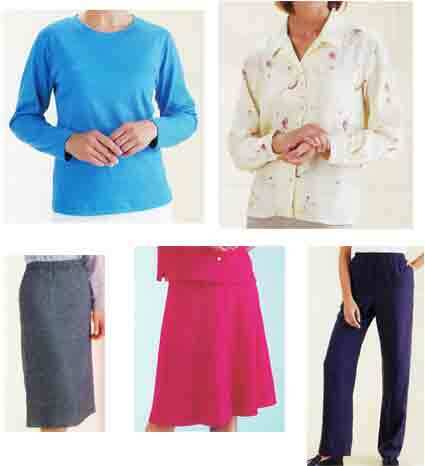 Simple garments with much potential for variation. And I know, from my pleasure in my collection of 19c sewing books, that I have an almost infinite capacity for reading multiple instructions for the same technique. Most of these books and classes include full size patterns, or have simple instructions for making your own. 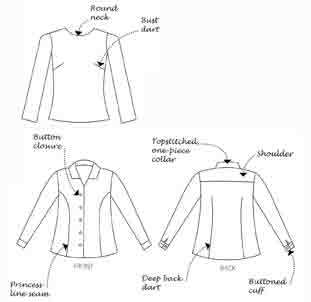 Most not for complete beginners – you do need to know a surprising amount to follow even the simplest garment sewing instructions. Although many of the books are simple, this isn’t a post on learning to sew. See how much you can do by playing with the simplest of patterns. Wiener & Rosenberg – Illustrated hassle-free make your own clothes book (don’t know how I got a kindle version, it doesn’t seem to be available now – perhaps too many people thought it’s in the boho spirit of the book to pirate copies). 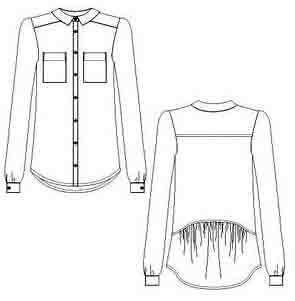 Draw simple patterns direct onto fabric. Sonya Philip of 100 Acts of Sewing – video not book – shirt and pants classes at Creative Bug. The same sort of vision as the hassle-free book but with paper patterns (pdfs). 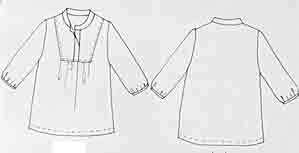 Bolsover – Sewing machine basics (I do love the tunic pattern). Home dec and clothes, paper patterns. Does start with getting to know your machine, sewing straight lines, turning corners. . .
Aoi Koda – 12 lessons – all clothes (original in Japanese, now out of print – second copy in French). I love the very visual instructions in Japanese pattern books – a little easier to understand when annotated in a familiar language ! Overlapping traceable paper patterns. The great Vogue Sewing Book – I already had the 1984 ‘new’ edition – bought when it first came out and was hugely expensive, to celebrate getting a new job ! Now I also have the 3rd. edition metric version. Last Christmas I got the Threads magazine archive on DVD. 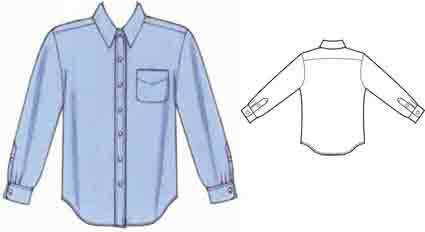 Cal Patch – Design It Yourself clothes (kindle version). Draft your own patterns. The book is not very visual and has minimal sewing instructions. I prefer her Creative Bug classes. Kerstin Martensson – Easy Sewing the Kwik Sew way. Paper patterns not overlapping but on both sides of paper so need tracing. Not to worry, they’re multi-style patterns so would need tracing anyway. 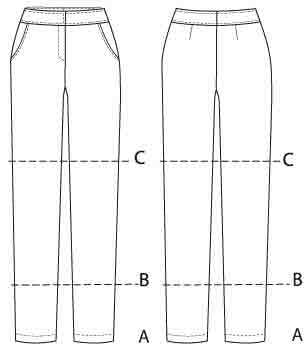 Pattern proportions not very current, but easy replace with others such as : tee, blouse, skirt, pants. 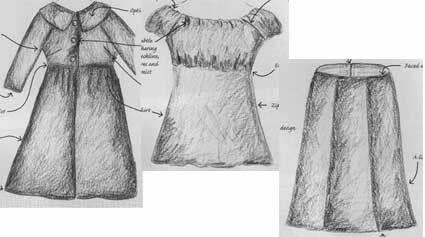 Alison Smith – Dressmaking (2012). 2nd copy is the shorter edition (19 of the 32 styles in the big book) – Dressmaking step by step (2015). Classic styles, and the big book has them in drab fabrics, but the photo instructions are excellent. Download patterns. Wiener & Rosenberg – Son of hassle free sewing. Draft your own patterns. Looking at this list makes me feel happy. I do know this is my taste. I’m not suggesting everyone should have these books ready to hand. But it can be an interesting exercise – what are the books or technique sites that you like to have easy access to ? Love the extra support from following a sew along ? I like following detailed instructions with lots of illustrations and demos the first time I do something. I also like instructions from a friendly encouraging voice, even if written ! This is the last of my sewalong series, links to the others are listed on this page. If you wear casual pants, but want to get away from jeans, YouLookFab has a post full of suggestions. 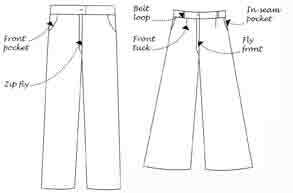 Once you’ve got a good basic pants pattern, here’s a Craftsy class about altering a pants pattern to make many other pant styles. 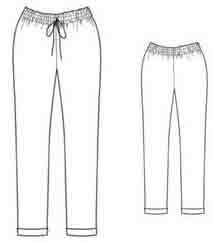 – elastic waist pants – not mentioned here, there are links to several sewalongs in my post on making pyjamas. 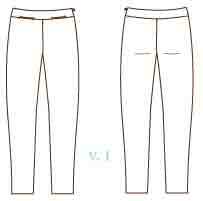 Ladies trousers with no pockets, invisible zip, faced waist. 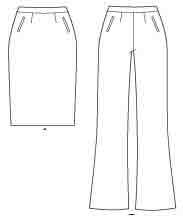 The Sewing Guru course tells you how to draft your own facing pattern so you could adapt Butterick 5391, which is also used in The Sewing Guru skirt course. 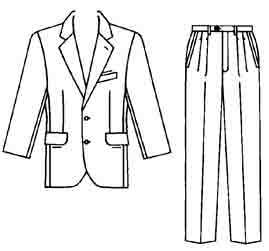 Men’s trousers with slant pockets, fly zip, waistband. 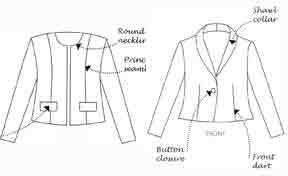 pattern Vogue 2836, also used by The Sewing Guru in his courses on men’s jackets. sewalong on-line videos in Collection 5. The pattern they mention is oop. 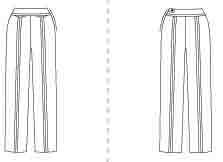 Their current pants pattern, McCall’s 6567, has more difficult pockets. 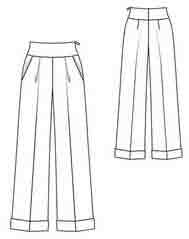 There’s also a Palmer-Pletsch chinos pattern, McCall’s 6361 (includes skirt). Those instructions suggest specific patterns, though they can be used with many other patterns. 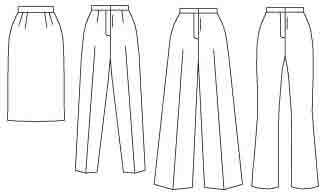 pattern : pants with side pockets, fly zip, fell and welt seams. sewalong : teaching DVD. These DVDs are cumulative not stand-alone. 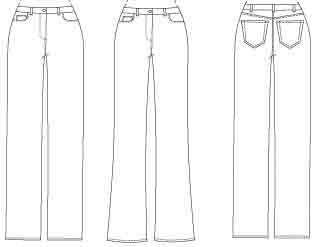 Level 5 assumes you know the skills taught in Levels 1 to 4.
uses her own jeans pattern. Includes videos, fitting, styling, sewing. 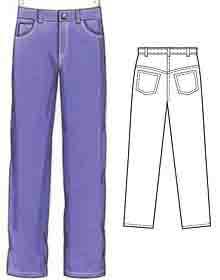 There are 2 Craftsy courses on making jeans, not linked to specific patterns. Whew there are a lot of these. Any of them right for you ? Many thanks to all the people who post the free sewalongs – those do represent a huge amount of generosity and work. Isn’t the internet marvellous ! No guarantee of completeness or quality. This is another use of the internet which is happily growing.